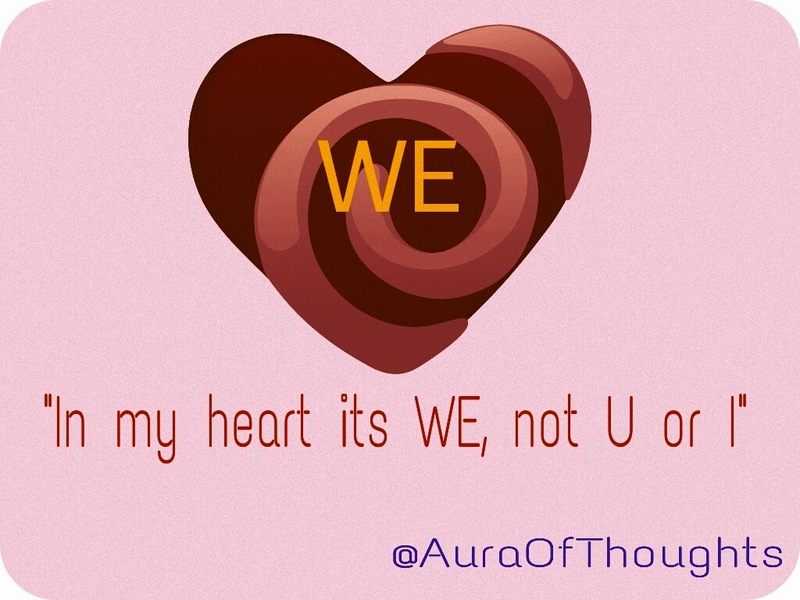 Aura Of Thoughts: Supremacy of "WE"
that will make you silently strong. don't frown, find positivity around. sense it's magic, before it's over. Yes,so true....we should always try to find the positivity in every situation! Nice message here. Yes Mary, being positive is only way out in difficult situations. I always enjoy the positive messages your poems convey. Love that miraculous fragrance, it captures so much, so much emotion. Yes emotions always acts as magic Alan. Glad, we are appreciated by you Amrit. Thank you Sumana, keep visiting. we do have quite the power. Yes Brian, if we all know the power of WE, there would be love and peace all over the world. You have s very nice way with words. Thanks Bev, welcome to blog. Yes Josie, WE is supreme than anything. If all the individual egos of you and I united to become we it would be quite magical and all would be peaceful. The power of silence... The strength of positivity... Inspiring words! I ccan inhale the fragrance of the perfume of positivity spread around. Happy that I could fill the positivity fragrance. I take the fragrance of positivity and optimism from your poem. Beautifully penned! When 'you' and 'I' become 'we', 'we' will be stronger. Yes Romi, WE will be strongest, which can't be defeated. Such an intriguing poem, I read it twice, well written. Welcome to blog Inderpreet and thank you for encouraging words. I like that imagery a lot!